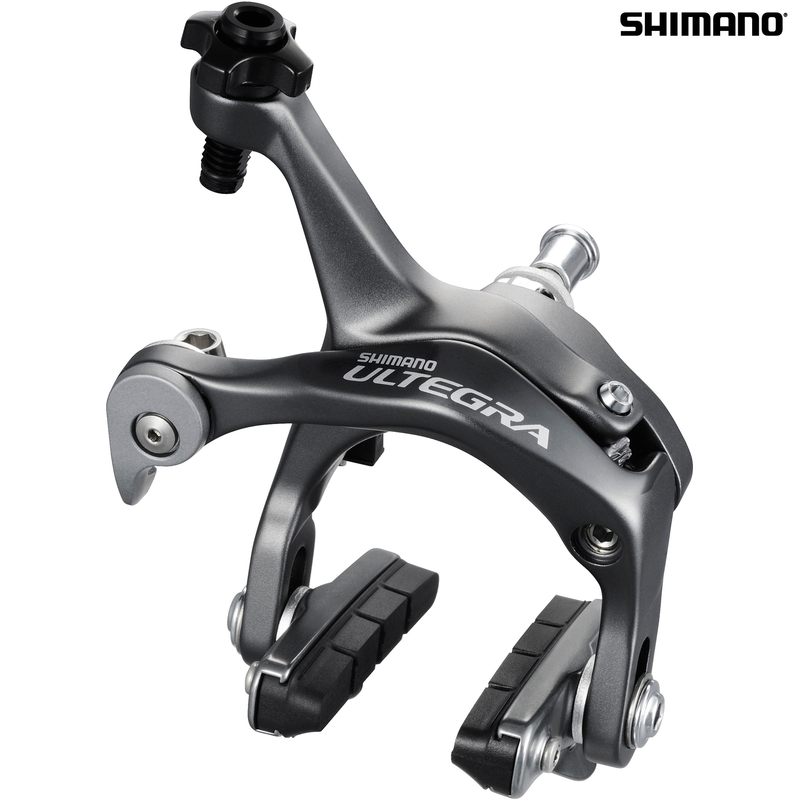 - Dual-pivot calliper brake with super SLR design for quick linear response, increased rigidity and improved braking power. - Must be used in conjunction with ST-7900 or ST-6700 STIs for correct leverage ratio. - Enhanced brake arch proportions give a quicker linear response and increased power. - Low profile outer cable stop position improves cable routing for reduced friction. - Brake shoe compound produces 100% more stopping power in wet conditions than the previous generation. - Spring tension adjuster for precision set-up. - Adjustable toe-in on the brake shoes for easy set up. - Total weight 317 grams (front and rear).